Anon. – 13-key probably German flute. 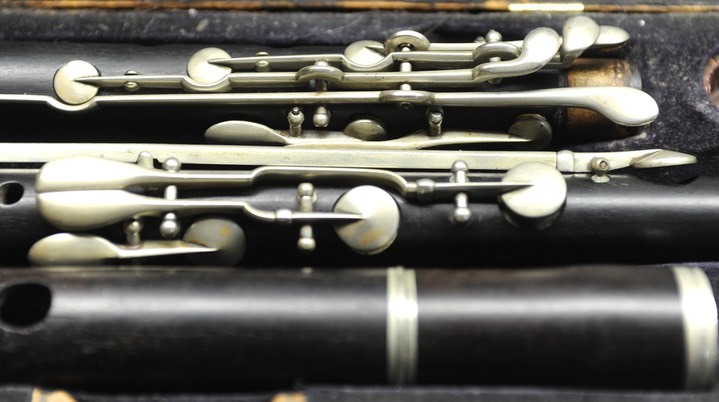 I call this the Bismarck flute as it is bristling with guns, I mean, keys. 4 keys for RH1 plus the hole. 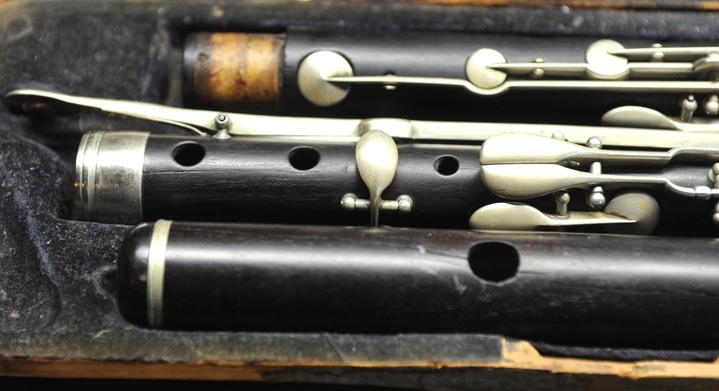 This is a rather heavy but well-made flute. Missing most pads so it isn’t currently playing.